You are currently browsing the daily archive for 07/02/2011. Big Society? So who’ll look after the Stones? You might be forgiven for suspecting that the government hasn’t merely been saving money on archaeology but has actually declared war on it. Museums closing, archaeology units closing, English Heritage being squeezed so they’re having to give up doing a lot of things they’ve been doing… etc etc. But there’s no point in spending time being resentful about the government planning to partly abandon its duty of care towards our heritage or in quoting Anna Coote of the New Economics Foundation: “It is madness to imagine that civil society can fill the gaps left by a retreating state…” After all, we are talking about what some people want, not what society needs. Instead, perhaps the people that care about prehistoric sites can set aside the resentment and become an organised “Big Society for stones” until such time as our country once again takes central responsibility for the task it has led the world in performing since the days of Sir John Lubbock in the nineteenth century. It must be possible, for instance, for the concerned public to fill the gap between what the statutory guardians are charged with doing specifically for scheduled prehistoric monuments and what they now can do with their reduced funding – simply by visiting each one on a formal, regular basis and be the eyes and ears of the statutory guardians? We know that many do that already with regard to many sites (and formally in Cornwall for instance) but it seems to us that with a bit of organising and allocating amongst the users of the various megalithic websites it would be possible to achieve regular viewings of almost every site, including the infrequently visited ones. It seems that the government is thinking of tackling heritage crime and vandalism but there’s no reason why ALL potential damage shouldn’t be tackled, and by a much larger body of people. The responsible authorities could be alerted very quickly if anything was going wrong (and, if desired, people could also send us a photograph of the problem). 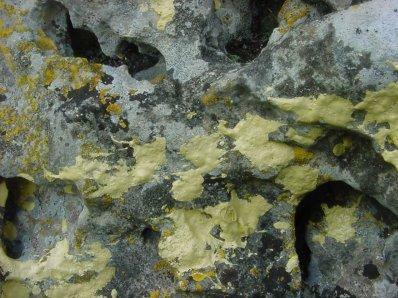 One dark night in 2005… Paint splashed all over the Rollright Stones. Had there been a Big Stone Society, and had a member of it been driving by and noticed a car in the layby and alerted the police, could this have been prevented?